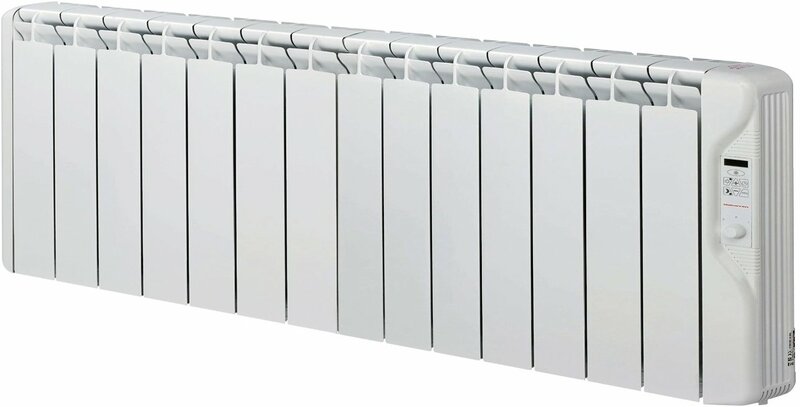 Low-level digital control RFC oil-filled electric conservatory radiators. 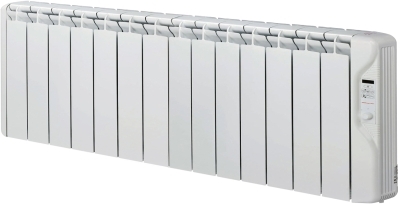 The Elnur RFC conservatory radiators are designed in a compact radiator design to suit the modern conservatory. Well made and very efficient. Knowledgable staff and quick delivery. It's a very stylish heater. Looks great in the conservatory. It's good to be able to see exactly when the heater is using electricity. Have only had it for a few weeks so I don't know how economical it is. Unfortunately, on particularly cold days even after having it on for a number of hours, although the room temperature is perfect our feet are a still chilly. I'm very disappointed about this. It's placed as low on the wall as it can go so I assume there's nothing to be done. I will contact the shop to ask. 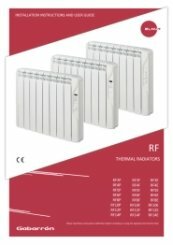 The person I spoke with for advice on which heater I needed for the conservatory was very helpful and knowledgeable. Nothing was too much trouble. Unfortunately, the floor will remain colder than the air temperature. The only solution to this would be underfloor heating, which is very often used in conjunction with Conservatory heaters. Please visit our website www.elementshop.co.uk to find the best solution for this.